Maryland has harsh sentencing laws for the crimes of drug sale, drug manufacturing, and possession of a controlled substance with the intent to distribute. Each of these crimes is classified as a felony and the maximum sentences can vary depending on the type of drug, and whether the defendant is a repeat offender. Police officers and the legislature have focused an increased amount of attention on arresting and sentencing alleged drug dealers and drug traffickers. Police practices such as undercover buy bust operations, informants, and undercover surveillance are commonplace, and many times these tactics police tactics can result in illegal arrests. Do not let law enforcement break our sacred constitutional rights in order to make an arrest! Fight back by hiring an attorney that knows the law, and knows how prove the police did not follow it. 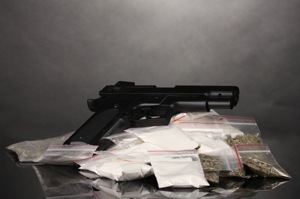 Benjamin Herbst has handled hundreds of drug cases and is ready to take on your defense. Contact him at 410-207-2598 for a free consultation. State law authorizes similar maximum penalties for sale, distribution, or manufacture of all the illegal controlled substances. The maximum penalty for crimes involving the sale or distribution of a narcotic drug is 20 years in prison and a fine of $25,000. Second and third time offenders face increased maximum penalties and fines up to $100,000. A first time conviction for sale, distribution, or manufacture of a hallucinogen such as ecstasy may result in a maximum sentence of up to 20 years in prison and a $20,000 fine. The minimum penalties for a second or subsequent conviction of sale, distribution, or manufacture of a hallucinogen are the same as for sale, distribution, or manufacture of a narcotic drug. Recent changes in the law have made the minimum mandatory sentences discretionary, which means they have all but been eliminated unless the judge makes a finding on the record that a mandatory sentence is warranted. Maryland law also provides enhanced maximum penalties for volume drug dealers. An arrest for sale, distribution, possession with intent to distribute, or manufacture of certain amounts of the drug at issue will trigger these enhanced penalties. State law defines volume drug dealers as those arrested with 50 pounds of marijuana, 448 grams of cocaine or methamphetamine (meth), 50 grams of crack cocaine (crack), 28 grams of morphine or opium, and 1,000 or more doses of lysergic acid (LSD). The police have a history of inaccurately measuring large amounts of illegal drugs and this can lead to enhanced penalties, as well as an increased bond amount upon arrest. An experienced drug lawyer will immediately file any available legal motions to have the drug measurements tested for accuracy in a volume drug dealing case. The Herbst Firm lawyers will also file motions to reduce bond. A conviction for a volume drug dealing case carries a minimum mandatory sentence of 5 years in prison that cannot be waived by the judge. The state also has enacted special laws to punish alleged drug kingpins. These laws can be abused by prosecutors, as there is much controversy over what exactly constitutes a drug kingpin. A drug kingpin as an organizer, financer, or manager that conspires to transport dangerous controlled substances into the state for sale or distribution. Drug kingpin designation carries a maximum sentence of 40 years in prison with a 20 year minimum mandatory sentence that cannot be waived. There is also a possible $1,000,000 maximum fine. If you or someone you know is facing enhanced penalties for being designated as a drug kingpin, contact an experienced criminal lawyer immediately about the possible defenses available in a drug kingpin case. The stakes in these types of criminal drug distribution cases are too high to not be represented by a skilled lawyer from the minute an arrest occurs or as soon as you are aware that an investigation has begun.